In this week, we learned about Unity which is the software that help us designing our prototype in 2D and also in 3D. We just need to get familiar with the Unity interface and the coding that uses C# programming language. We use the Unity tutorial slide from the Blackboard and get the tutors help if we have any questions to ask about the Unity. To get the feedback from the users about the game and the video prototype, the interview has been made after let the future users watching the video prototype in practical class. Do you understand the concept of the mashup game? Do you think the game is good enough and fun to play? How would you rate the game? Do you have any comment or improvement about the game? I think I will loves this game. Yes it is good and really fun. - Make the words get harder as the level increases. - Add more special moves for the snake. - Made easy mode for children and hard mode for teenagers and adult. From my observation and evaluation of the interviews, the prototype is sufficient to test what I intended and also I get the positive feedback from the users and most of the users understand the concept of the mashup game. For the conclusion, the suggestion from the user will be considered to be included in the future prototype and the complete game. The Spelling Snake game is the mashup of two classics game which is the Hangman and Snake. Some part of the concepts from the original game will be included in this game. There will be a combination of hangman game concept which is the player needs to find a correct letter to solves the unidentified words based on the given clue. Besides that, the snake game concept also was implemented in this game which is the player will control the snake to find the correct letter. If the player finds the correct letter, the player will gain 10 scores while for the wrong letter, 5 scores will be deducted and the head game will start to draw the hangman. If the drawing is complete, the game will be over for the player. If the player successfully completing a word, the player will proceed to the next level and it becomes harder as the level increase. The time also will be recorded so that the player can also compete to see who gets the highest score and the fastest time to solve the mystery words for each levels. The snake also will have the special move which is the time freeze and invisible snake to help the user to complete the game easily. The player will play by using a touch pad controller. Push left to go left. Push right to go right. Push up to go up. Push down to go down. Push Special for special move. There will be two types of special move which is Time Freeze and Invisible Snake. To get the special move the snake need to finds a special food and then the player will be able to click a special move button. Invisible Snake: The snake can go through the wall and its own body. The effects of special move only temporary which is only 15 seconds. In contact class week 3, we need to make some video analysis. The lecture show us some examples of Video Prototypes and we had to discuss in a group and make some analysis about the videos. The information below shows my analysis of some videos. I'm not interested with the video for the first impression. Can you really understand the concept? The explanation about the concept in the video is really poor so I'm really not understand the concept. The video styles, make it less boring and improve the explanation about the concepts. Nothing seems well to me. Is there a better way to show certain things? Don't display the people talking to much. Quality of the video? Audio? How to find a perfect living place. Make a better graphic and visualization to make it more attractive. The explanation about the concept. Good for video and audio. Attractive and inspiring and it makes me want to watch it until finish. The explanation about the concept in the video is really good so I'm understand the concept. How to connect your mobile phone with your light at home. Perfect explanation about the concept and what it can do. Very good for video and audio. In contact class in week 2, we need to think of a device at home and regularly use. 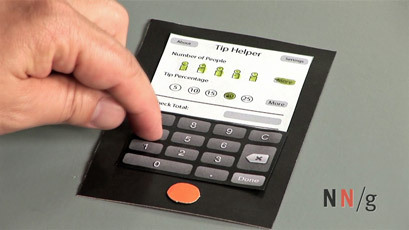 We also need to think about our interaction with it and design variations to the way that I interact with the device. 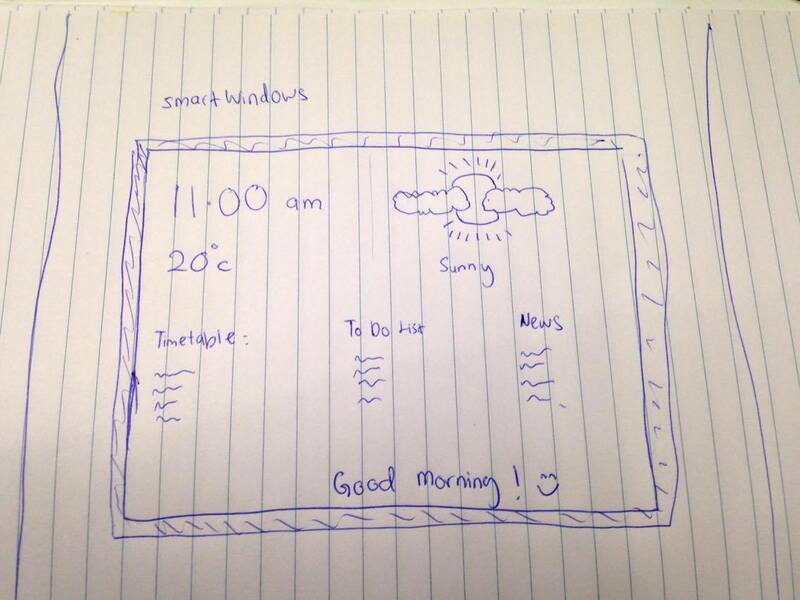 What I've been thinking about the device is the SmartWindow. The main reason why I think about the window is because the window is the first thing I saw when I woke up every morning from my bed, so I want to do something with it so that I can interact with it instead just open and close it everyday. The feature of SmartWindow is the it have touch screen function so that we can interact with it just like with interact with our smartphone. 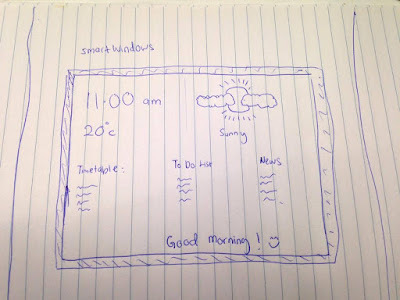 We can do anything with the SmartWindow such as we can set alarm, set reminders, display some beautiful background image, temperature and others. The SmartWindow can change background image, for example if we can change to flower field background image and it will make us feel like we are in spring season even though we are actually in fall season. At the same time also the window can become transparent just like other window where we can see outside of our house and it can do anything just like our laptop and smartphone can do. In week 1 we have been introduced to prototype by the lecture, we have been asked to form a group of 4 or 5 people and discuss about several questions. These are the questions and the answers that we have been discussed. What do you think prototype is? In my opinion, a prototype is the example of model of the actual product or in other words it is the ideas of new product before releasing the final form of the actual product. It can be found in many type of forms and it can be in a physical form or digital form. The example of physical form is the model that has been built from cardboard or paper. 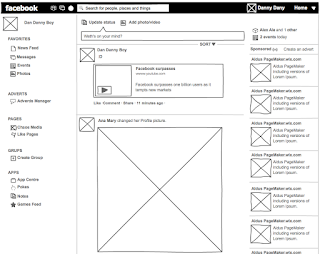 The example of digital form is wire-frame or storyboard. 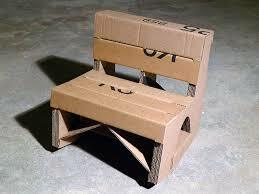 Example of prototype of chair that has been built from cardboard. 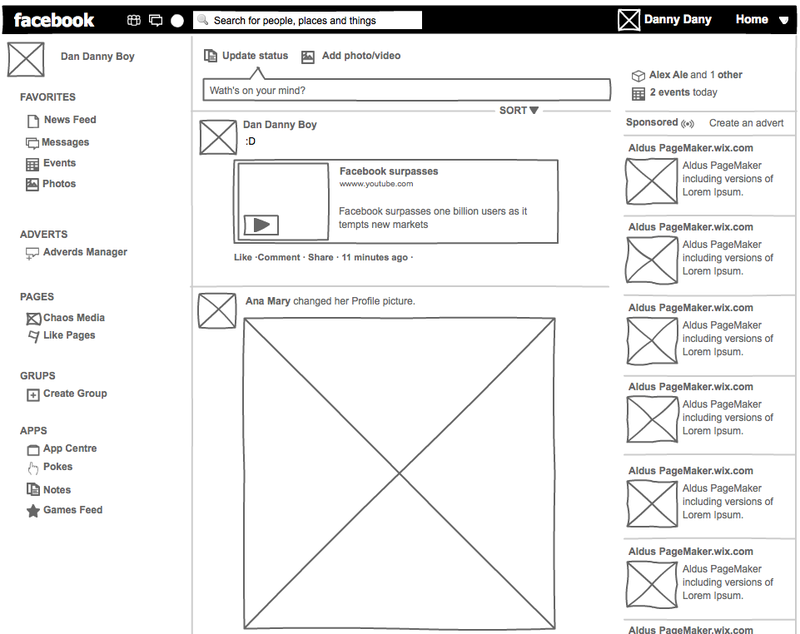 The example of wire-frame of Facebook website. If we create a physical prototype we need some hand-tools and get our hands dirty. For example is we get some pencil and a piece of paper and start sketching and drawing while for the digital form prototype we need some software development tools to develop the dummy system which is the prototype that looks like the real system. The prototype is used for test an idea in an existing system or before real system is established and at the same time is to gain some feedback from other people when we show our prototype to them. Other people can suggest any improvement for our actual product. In my opinion, the purpose of prototype is to prove whether the components that will also be in the final system will work together as expected. When would you create one ? When we get a clear idea what kind of 'thing' or product we want to build or develop and we can start make a research and we can start express our idea in the piece of paper such as do some sketching. What does it mean in the context of your studies? What does it mean in the context of my studies is to develop my understanding about the prototype and implements it by developing my own prototype.